In 1958, USC Thornton Keyboard Studies faculty Daniel Pollack traveled to Moscow for the first International Tchaikovsky Competition. The 23-year old pianist emerged beside Van Cliburn as a prize winner, and his resulting career has taken him across five continents. In this video, Pollack discusses how students can transition to artists and develop successful careers. Pollack discusses ways young artists have developed lasting careers by winning awards and competitions, getting noticed by conductors, substituting for performers, and recording albums. He suggests that artists should study a diverse repertoire of music, stay focused on the next opportunity, and prepare for the physical and emotional demands of a lifelong career. 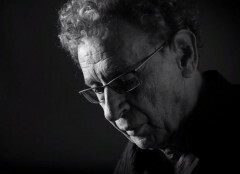 The video was released through USC Thornton’s collaboration with New World Symphony’s MUSAIC project. USC Thornton was named a premiere partner in New World Symphony’s new digital initiative. MUSAIC is an interactive online community that represents a new approach to the time-honored tradition of passing musical knowledge to succeeding generations.